Slide-out Kitty-cat Access Termination System aka SKATS is a project designed to keep our three cats out from under the bed and away from the slide-out mechanism that resides there. 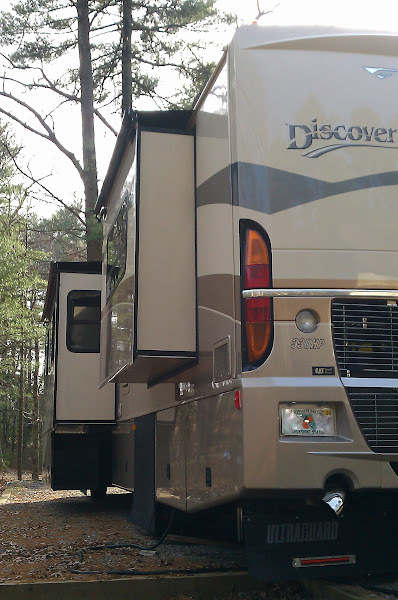 When we get to a new location, we extend all three slides which add significant square footage to the coach. 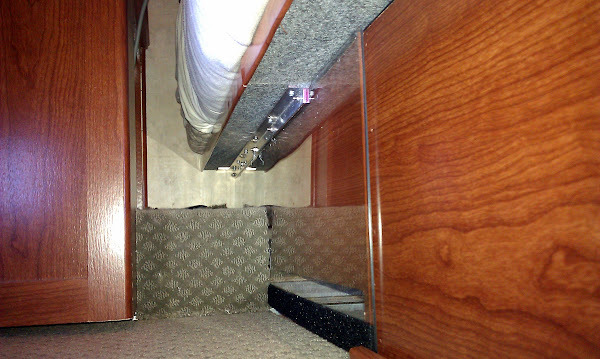 Unlike the two primary main cabin slides which are floor to ceiling, the bedroom slide is unique in that most of the mechanicals are inside the coach and under the bed, so when it is extended, some small but normally hidden openings are created that allow access to under the bed that are just irresistible to the kitties. 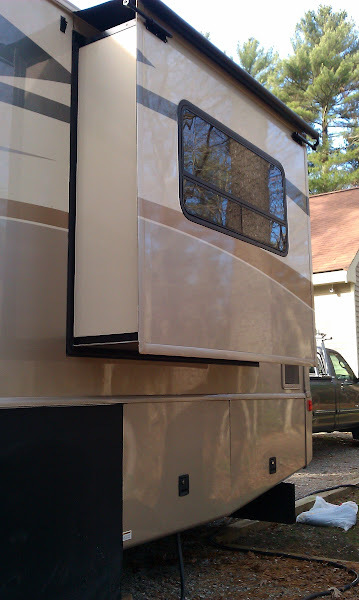 That’s OK until it comes time to close the slide and get underway – last year it was extremely problematic as the little fuzzballs would always sense when we were getting ready to hit the road and high tail it under there (I guess they felt safe there). Of course by closing the slide not only would the little beasties be trapped but there is a high probability of shredding them into bits of fur and squishy organic matter – probably not good for the slide mechanicals either. The issue is further compounded by the fact that it is extremely difficult to extract said little beasties from this seemingly wicked cool hideout. The bed platform lifts up and is on gas struts for access, but a good part of the area below is still inaccessible to those of us of human proportions. 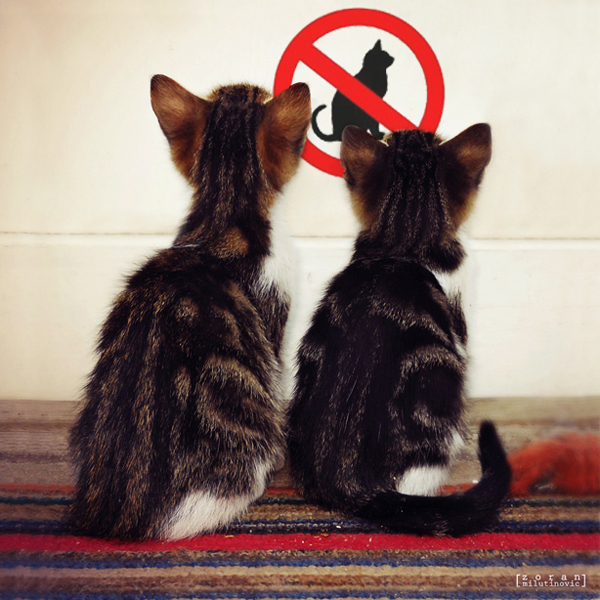 On a several occasions it took us close to a half hour with coordinated teamwork to forcefully extract them – clawing, screaming and with fur flying – no fun for any of us. So the goal is to keep them out of there in the first place. By the end of last years voyage we had a strategy in place that involved precise timing and a number of pillows and towels to plug up the gaps. It worked but was a pain – something more automatic was needed. 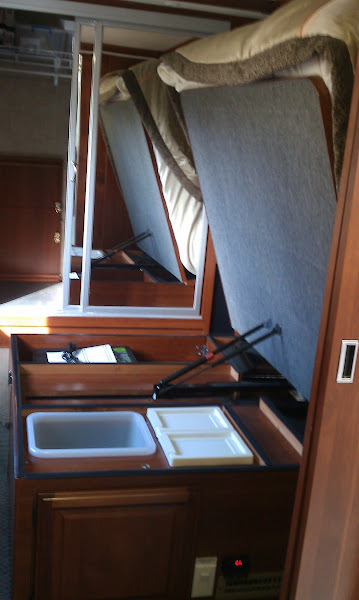 Note that basically just the bed platform – which includes the window and overhead storage cabinets – plus the two nightstands, move outboard when the slide is activated. The bed base remains stationary. The slide out operates electrically. The photo at right (click to expand) shows the right side of the bed with the slide extended. The wood part (left and center) is the bed base and does not move. The platform (partially seen at the top right with the gray covering), the green carpeted section and the nightstand (wood part to right) all slide in and out. The slot in the base allows the “floor” of the slide someplace to go when the slide is closed – thru the slot you can see the aluminum edge of the slide “floor”. There are a total of two openings on each side of the bed, the slot that can be seen in the foreground , and another larger slot at the top right of the picture – this one is shown with a plexiglass cover panel. The panel must slide in and out with the bed platform. Due to some issues with obstructions and inconsistent movement of the platform, I have not yet perfected a moving cover for the foreground slot -this opening is only 2-1/4″ high so I don’t think they can get thru it, but I don’t want them trying either – all we need is a stuck furball in there! I may end up just plugging this remaining slot up with some foam. The photo at left shows the left side of the bed with sliding cover panel installed. This side is arranged differently due to the engine access floorboards in this area. It is also a step up in height vs. the right side. 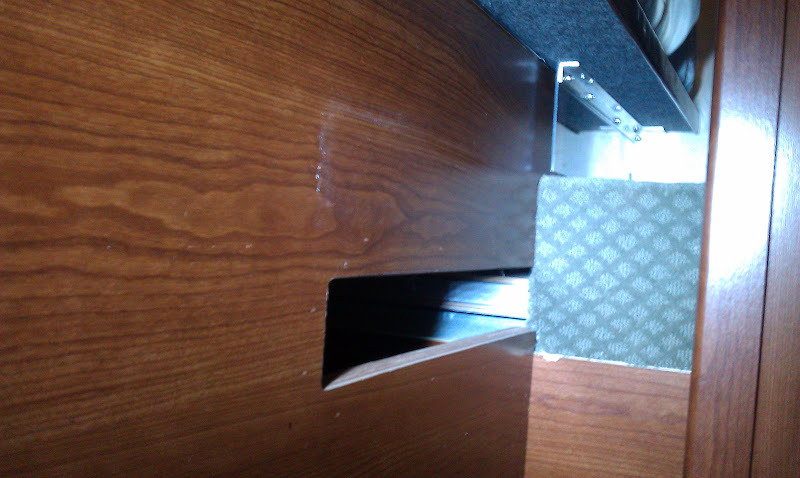 The top left quadrant of the photo is where the openings are located – on top of the little “step” covered in green carpeting is where the larger access hole is (to the right), at the base of that step is the lower slot similar to the one on the right side of the bed. 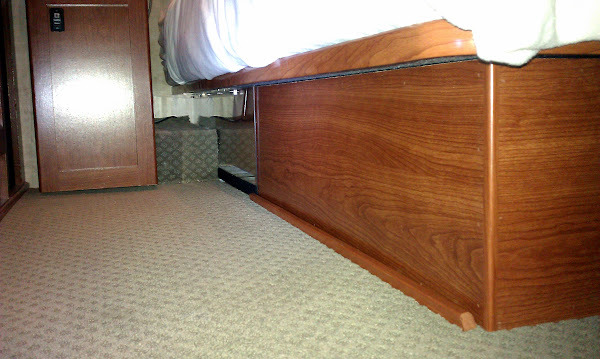 The strip of wood in the foreground adjacent to the bed base is a “track” I made for the sliding panel as it moves forward. On the left side, due to the different configuration, I was able to use a single piece of plexiglass to cover both openings. The photo to the right gives a clearer view of the assembly. The black stripe at the bottom of the plexiglass is a fuzzy material to keep it from rattling (I used the fuzzy part of a velcro strip). While the solution seems fairly simple, this project was actually a real PITA. I tried several different variations before I hit on one solution that worked. My thinking to use clear plexiglass was that I wouldn’t need to worry about matching the finish as I would need to do with a wood panel – this is farily thin material though (have you seen how much plexi costs these days?) so we’ll see how it holds up over time. So all that remains on this project is a solution for the lower slot on the right side. I’ll do a new post when/if I figure that one out!